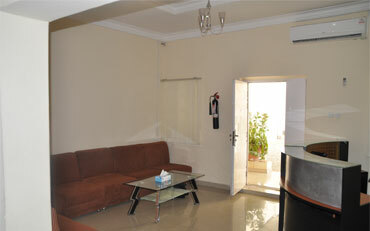 The programme teams are supported by skilled managers and administrators who oversee all the activities in Nigeria. 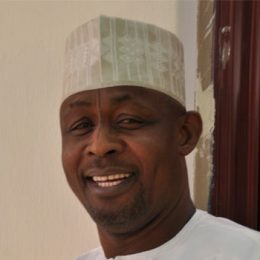 Abdulsamad Salihu brings to MNCH2 over 15 years of experience in public-private-partnership and social marketing programme design and implantation. 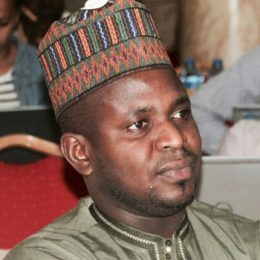 He began his career with the Society of Family Health (SFH) as the regional communications coordinator for the Kano/Borno axis where he ensured the existence of an enabling environment for the implementation of the comprehensive PSRHH and USAID AIDSMARK projects across Borno, Kano, Katsina and Yobe States. He was then promoted to the position of the zonal programme manager, Northwest and Northeast of Nigeria here he was responsible for the management, system strengthening and maintaining of relationship with the governments of 12 northern States namely Adamawa, Bauchi, Borno, Gombe, Jigawa, Kaduna, Kano, Katsina, Kebbi, Sokoto, Yobe and Zamfara. 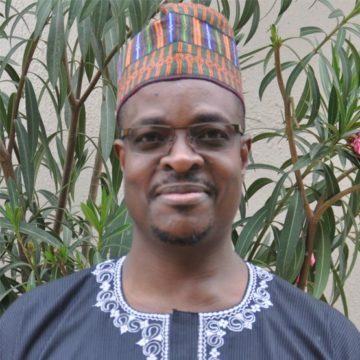 Abdulsamad was responsible for 4 projects - the USAID Improving Reproductive Health in Nigeria (IRHIN), comprehensive integrated approach to HIV care (CIHPAC) and 2 HIV workplace intervention projects. 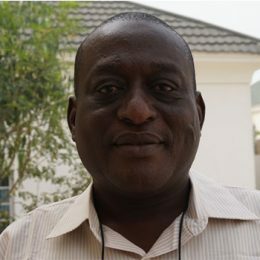 From 2007 – 2009, he became the senior programme manager in the headquarters of SFH where he provided leadership in coordination and documentation of innovative approaches to behaviour change communication and demand generation at community level across many projects like the Women Health Project, the first phase of the Global Fund Mallari, the Global Fund HIV and IRHIN. When SFH was granted the award of the ENR programme, Abdulsamad became the assistant programme director where he provided strategic direction, skills in health systems design/transformation, operational planning and sustainable financing to the team of Advisers drawn from the ENR consortium. In November 2011, he became the Deputy programme Director ENR programme where he managed the ENR supported states with programme budget, directed and managed the ENR design and implementation process and contributed to the overall ENR consortium secretariat management as a core member of the ENR executive management team. In 2014 Abdulsamad became the SFH Lead on the SFH/Unilever corporate partnership project titled Unilever Sunlight Village Project where he built and managed the SFH corporate partnership with Unilever and began securing new partnerships with prospective donors from the private sector on health issues in an effort to reducing the burden of diseases in the country using the business model. Abdulsamd’s technical skills and practical experience spans across community empowerment, health systems strengthening, hygiene promotions, sexual reproductive health, providing an enabling environment in hard to reach areas and maternal, newborn and child survival programme. 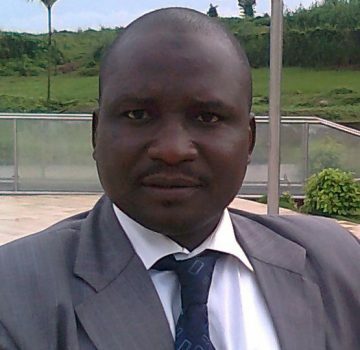 Abdulsamad Salihu is the Deputy Team Leader, Technical in the MNCH2 programme. Dr. Jabu Nyenwa is an international development professional, public health practitioner and medical doctor with more than 20 years of experience managing national and regional MNCH, SRH, HIV, health systems strengthening, and poverty alleviation programmes in sub-Saharan Africa. 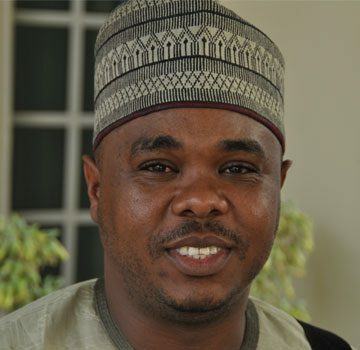 Since 2014 Jabu has been Project Director and from February 2018 he assumed the role of National Team Leader on the DFID Nigeria Maternal Newborn and Child Health Programme (MNCH2). 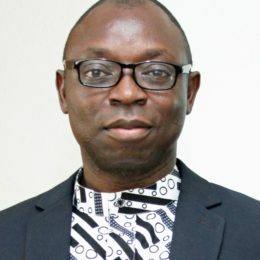 Over the past decade, Jabu has held senior managerial and technical positions in Palladium including his current role as Director of Health for Palladium EMEA, Project Director on DFID and EC funded large scale international development projects and Regional Director for Southern and East Africa. Jabu’s passion is to transform healthcare systems for better health and to save lives in Africa. 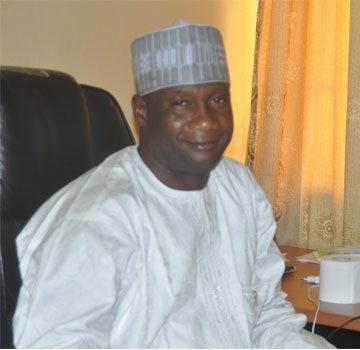 Dauda Sulaiman Dauda brings to MNCH2 over 20 years of experience in various sectors of healthcare delivery spanning expertise in program design, management, implementation, and monitoring and evaluation (M&E). He is currently the Nigeria Country Representative for Palladium responsible for coordinating company activities, covering general administrative oversight of Palladium projects and staff in-country. Dr. Dauda provides leadership for all project tendering, major procurement activities, ensures coordination of activities across different projects and serves as Palladium’s liaison with the Government of Nigeria, funding agencies, clients and other stakeholders. In addition to leading Results Management on MNCH2, he also serves as the Project Director for the USAID Family Health Plus (FH-Plus) and follow-on SIFPO2 projects and as Strategic Information Advisor for the SUSTAIN comprehensive HIV/AIDS care and treatment project. 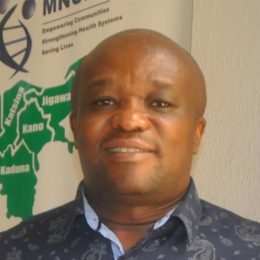 Prior to this, he has also worked as SI Advisor on the predecessors to SUSTAIN – AIDSRelief and CHARIS projects – leading a team that built the capacities of project local partner health facilities across 16 Nigerian states in health management information systems, setting up electronic medical records and training healthcare workers in M&E of HIV/AIDS programmes. The team also pioneered the utilization of e- and m-Health on these projects and was responsible for starting Nigeria’s first ever HIV/AIDS paperless e-clinic in 2009. On FH-Plus, Dr Dauda supervised development of an android application for direct reporting from healthcare facilities to the Federal Ministry of Health’s DHIS2 reporting platform and its deployment in 20 states nationwide. From 2012 to 2017, Dr. Dauda served first as 1st Vice-Chair and then Chairman of the Nigeria Global Fund Country Coordinating Mechanism (CCM) with membership on its Executive, Oversight, and Revenue Mobilization Committees. He is currently an Executive Committee and Board Member on the Nigeria CCM and member on the Regional Coordinating Mechanism (RCM) of the Global Fund Abidjan-Lagos Corridor Organisation. Dr. Dauda has work experience in Ukraine and Nigeria and has provided technical assistance to Palladium projects in Kenya, Uganda, Tanzania and Zambia. Dr. Dauda is fluent in English, Hausa, Russian and Ukrainian whilst working on his Arabic and French competencies. 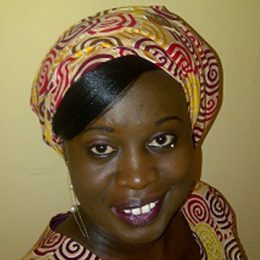 Dayyabu brings to the MNCH2 programme over ten years’ experience in public health in Northern Nigeria. He has held many leadership positions including his present role as Territorial Manager for Kano, responsible for Kano, Katsina, and Jigawa states in Society for Family Health (SFH) a consortium member of the MNCH2 programme. In this role, he has led the development and implementation of nine programmes cutting across MNCH, family planning, HIV&AIDS, and malaria. He has strong technical experience across the MNCH continuum as well as managerial experience building and skills in creating an enable environment for programmes across Northern Nigeria. He has expertise in community engagement using participatory approaches and managerial skills in managing both staff and stakeholders. Dayyabu is the STL for Kano State on the MNCH2 programme. Yusuf brings to the MNCH2 programme over twenty-two years of experience in Public Health. 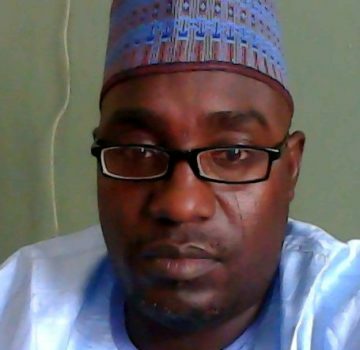 He was a lecturer in Sociology at the Ahmadu Bello University (ABU) in Zaria, Kaduna State, Nigeria and later he moved to the Society for Family Health, as the Regional Coordinator for Kebbi, Sokoto and Zamfara States in Nigeria. He was also the programme adviser in Kebbi for UNFPA Nigeria where he coordinated Reproductive Health, Population and Family Life education, HIV/AIDS, Gender Equity and Equality. He has skills on health systems strengthening, resource mobilization, team building, supportive supervision, communication and management of sub recipients programmes. He also worked as a Head of Office, UNFPA in Sudan, where he coordinated the development strategies for UNFPA emergency activities in the Darfur region and worked in conflict and terrorist prone zones of Darfur. He also coordinated detailed assignments for UNFPA in Ethiopia, Kenya and Uganda. Yusuf also managed the Community Based Distribution of Healthy Timing and Spacing of Pregnancy (HTSP) for Expanded Social Marketing Project in Nigeria (ESMPIN/USAID) in four Northern States namely Jigawa, Katsina, Kebbi and Zamfara. Yusuf is the STL for Zamfara State on the MNCH2 programme. Dr. Sikiratu Kailani-Ahmadu is an Obstetrician Gynaecologist with over a decade’s experience implementing Public Health and Maternal Newborn and Child Health Donor funded programmes. She is a seasoned Master Trainer who has mentored and built the capacity of various cadre of medical staff across the country and a proficient writer for grants and proposals. Dr. SK is a Fellow of the West African Post-Graduate College of Surgeons, she holds a master’s degree in Public Health and is the current State Team Leader for the Kaduna State MNCH2 programme. 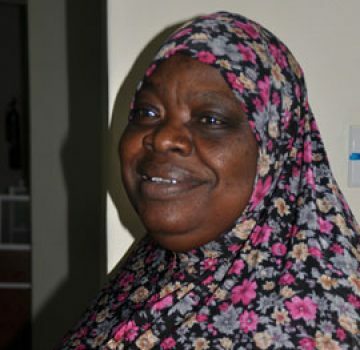 Zanna Omar Ali brings to MNCH2 16 years of experience as a monitoring and evaluation specialist. In e past he was the Technical Officer M & E for the USAID-funded SIDHAS Project from 2013 to 2014. He was also engaged as a Technical Specialist M & E/Health Management Information System with PATHS2 from 2009 to 2013. Zanna was an HMIS Officer for the Yobe State Ministry of Health and was the State focal person for the National Health Account (NHA) between 2005 and 2009. He was also the State M & E Coordinator for MNCH2 Yobe Office and is presently the State Team Leader for MNCH2 Yobe Office where he provides overall state level technical leadership and representation of the project. He is part of the senior management team of MNCH2 that conveys the overall purpose, goal and achievements of the programme. Zanna is the State team leader for Yobe State. Garba Haruna Idris, BSc Economics, Masters in Health Economics (ongoing), is a community development and evidence specialist with over 18 years' experience, including eight years’ experience in maternal and newborn health. Mr Garba has worked as the Evidence and Advocacy Coordinator in MNCH2 project. In this role, Garba’s main functions were to strengthen the Maternal Death Review (MDR) in secondary health facilities, strengthen community involvement in the provision of health care services, and generate MNCH resources (through data generated by the Programme & DHIS2) to share with stakeholders, MNCH2 staff and third parties Mr. Garba was a consultant with Sustainable Development Initiative Centre (SUDIC) on the mobilisation and training of trained birth attendants on maternal danger signs, safe pregnancy planning, and delivery in health facilities as part of the Community Sensitization Towards Reduction in Maternal Mortality Rate project. He also supported the Adolescent Health and Information project (AHIP) by mobilising, training, and monitoring the formation of local health committees in Rano LGA under PATHS2. He has worked as part of the Partnership for the Promotion of Maternal and Child Health (PPMCH-Kano), advocating for the Free Maternal and Child Health Bill in Kano state, and is now engaging with the public sector to obtain evidence with regards to maternal and child health in facilities. Working as a technical consultant with CLEEN Foundation on the role of police during election, Garba conducted a recorded interview and transcription with the Nigerian Police Force in Kano, for the Commissioner of Police, ten selected DPOs, CSOs, Student Unions and individuals. He also worked to mobilize CSOs and participated in the training and field visit in Kano and Jigawa state in the “police station visitation week Working in a consultancy capacity, Garba reviewed the draft questionnaire on Universal Basic Education Budget Tracking in Kano State sponsored by EU SRIP Nigeria. Prior to this he performed an analysis of the UBE budgetary allocation and expenditure in Kano State from 2005 to 2008, also sponsored by EU SRIP. Garba also worked in a more specialised role as SHF Project Reporting Consultant on two large projects related to malaria sensitization within several LGAs in Kano state. Dr. Hamzat Shuaibu Mohammed is the State Team Leader for Jigawa State in the MNCH2 programme. 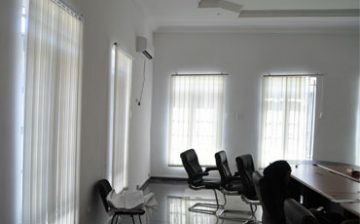 He brings to MNCH2 over 17 years of professional experience and expertise in the management of development programmes. 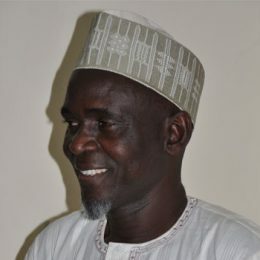 Hamzat worked as the Jigawa State TB and Leprosy Programme Manager with the Netherland Leprosy Relief (NLR) agency where he managed the TBL project towards eliminating leprosy in Jigawa State. He had also worked with FHI360 as Community Health Specialist in the HIV, AIDS and Sexually Transmitted Disease and Tuberculosis (HAST) project and with USAID as TB Programme Specialist on the USAID HIV-TB team. He joined MNCH2 from FHI360 where he worked as the Kano State Programme Manager for the Strengthening Integrated Delivery of HIV AIDS Sustainability (SIDHAS) project since 2013. 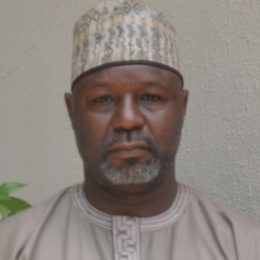 Dr. Hamzat Shuaibu Mohammed is the State Team Leader STL for Jigawa State. Faruk is a dedicated health systems expert with experience working in public health promotion interventions in northern Nigeria. He has held many senior leadership positions including as a Territorial Manger providing oversight to Society for Family Health six programmes in Maternal, Newborn and Child Health (MNCH), Sexual and Reproductive Health (SRH) and HIV prevention in Kaduna and Katsina states –supported by USAID, Global Fund and Bill & Melinda Gates. Prior to this he was the State Programme Manager for one of the largest and most successful DFID programmes, the ‘Enhancing Nigeria’s Response to HIV/AIDS’ (The ENR programme). Faruk is a proficient leader that inspires multi-cultural teams to rally around a shared vision to achieve organisational and programme objectives and is skilled at working in fragile and conflict affected environments. In his role as the National Demand Creation Advisor for MNCH2, Faruk provides leadership on demand creation including integrated MNCH activities and messaging to achieve wider reach within MNCH2 supported states. 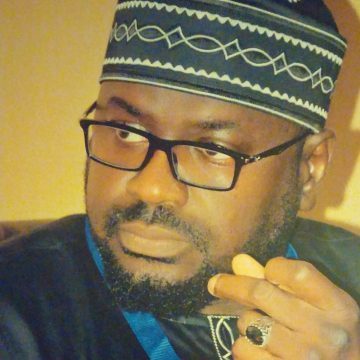 Lameed Tajudeen brings to MNCH2 over 15 years of professional experience and expertise in procurement and supply chain management, public health pharmacy, health planning, capacity building, grant management, and health economics. 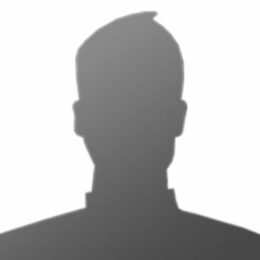 He has experience in pharmaceutical commodities management in the private sector and on public health programs, had worked in donor funded programs like USAID, CDC, CHAI, GF and other and had collaborated with representatives of major international donors and development partners such as WHO, UNICEF, and The Global Fund. A fellow of the West African College of Pharmacists, Tajudeen Lameed has worked with the National Agency for the Control of AIDS (NACA), Clinton Health Access Initiative (CHAI), Songhai Health Trust, Axios Foundation Nigeria, Fidson Healthcare and IPCA Pharmaceuticals. Tajudeen is a motivated team player who consistently seeks to expand knowledge and impact lives positively; he possesses superb communication, stakeholder management, facilitation and presentation skills. He is the National Supply Chain Adviser in the MNCH2 programme. Safiyanu M. Mani brings to MNCH2 over thirty years of experience in teaching and management of health systems. As a registered nurse educator and community health practitioner he was the pioneer Provost of the first Katsina State College of Health Sciences and was also a trainer in Jamaica, West Indies. He was also an accomplished Assessor and Developer of Institutional capacity where he provided assessed and planned capacity development strategies for the health training institutions in states of northern Nigeria namely Jigawa, Kaduna, Kano, Katsina, Yobe and Zamfara. 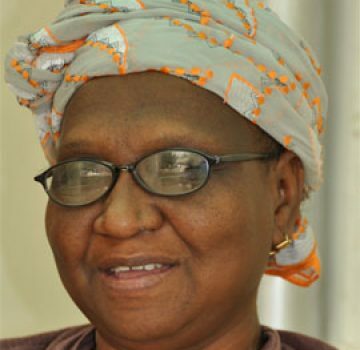 Safiyanu qualified from the School of Nursing, Katsina, as a nurse educator and community health officer from the University College Hospital Ibadan, Oyo State. He worked in the areas of Nursing Education and Administration, institutional capacity assessment and development, strategic planning and Behaviour Change Communication in Public Health (USAID, PRRINN-MNCH and PATHS2). Safiyanu also provided quality assurance in Mobilization for Social Approval/ Safe Motherhood Initiative Demand implementation for PATHS 2 and supported Katsina State operation research team in coordinating research studies and governance. As a consultant for the PRRINN-MNCH, Women for Health programme and Allied Management Services, Abuja, Safiyanu supported the health training institutions to increase their capacities to produce middle-level health manpower; assessed and planned for accreditation of their programmes, established accreditation committees, capacity building, development of instructional materials, strategic planning, budgeting and budget tracking. 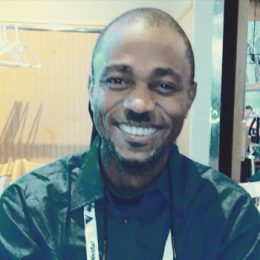 Abdulaziz Mohammed is an M&E, HMIS and Resource & Development professional with more than 20 years of experience in programming and management of State and National health systems strengthening, HIV/AIDS, RMNCH and Immunization programmes in Nigeria. Since 2015, Abdulaziz has been the M&E and VfM Adviser on the UK Government-funded Nigeria Maternal, Newborn and Child Health Programme (MNCH2). Over the past decade, Abdulaziz has held managerial and technical positions in the major RMNCH, HIV/AIDS and Immunization projects including the USAID and DFID “flag-ship” RMNCH projects in Nigeria. Abdulaziz’s passion is to contribute to health care systems transformation for better health outcomes in Nigeria. Olugbenga brings over fifteen years of experience in public health practice to the MNCH2 programme. He is skilled in designing and implementing health systems research and disseminating research evidence to varied audiences to inform health policy and practice. 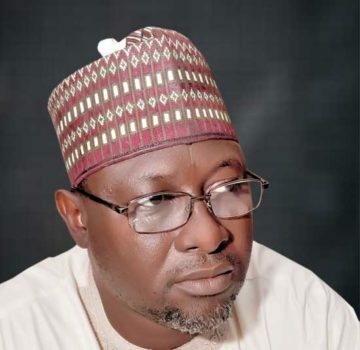 He was a lecturer of principles of epidemiology, research methodology and bioethics at Ahmadu Bello University (ABU) Zaria, Kaduna State and Bingham University in Karu, Abuja, Nigeria. He also served as Operations Research Advisor to Nigeria’s USAID Targeted States High Impact (TSHIP) Project. 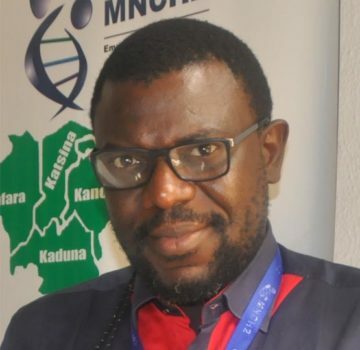 Olugbenga also provided technical support to Health Research Advisory Committees and the Health Research Ethics (HREC) sub-committees in project states towards improving research governance and ethical conducts of research involving human subjects. 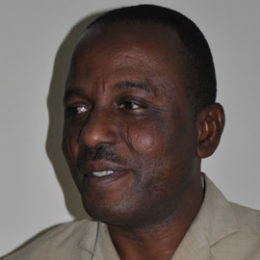 Olugbenga is the MNCH2 National Operations Research Adviser. Issa brings to the MNCH2 programme over twenty eight years of health knowledge and practice. As a medical doctor, he worked with the Kano State Murtala Mohammaed Hospital, Kano, where he attending and managing out and in-patients and later moved to a private clinic as the medical director. Later he moved to Aminu Kano Teaching Hospital in Kano as the Principal Medical Officer and later joined the Planned Parenthood Federation of Nigeria, Kano. (PPFN) as a volunteer. He also was the Territorial Manager of Society for Family Health (SFH) in Adamawa State. Issa also worked with Mariestopes International of Nigeria (MSIN) as the State Team Leader in Adamawa state. He is also a Fellow Institute of Health Care Management Nigeria (FIHM) and Member Nigeria Medical Association and a Member Public Health Parasitology Association of Nigeria. Issa has experience in planning, mobilizing communities, creating awareness for the need for routine immunization, training of the LGAs health service providers (as vaccinators), capacity building of TBAs, CBOs and community leaders. Issa is the Integrated Regional Trainer on the MNCH2 programme. 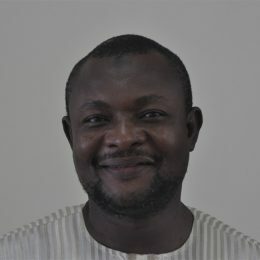 Dr. Ashiru is a public health specialist with over 12 years of experience implementing Sexual and Reproductive Health programmes, Tuberculosis and Leprosy Control, Disability and Inclusive Development and Health Systems Research. Before joining the MNCH2 team as the Accountability and Advocacy Advisor, he was the Project Lead for the E4A Quality of Institutional Care programme in Jigawa. He also served as the Deputy Control Manager at the Jigawa State Ministry of Health Tuberculosis, Leprosy & Burulli Ulcer Control Programme supported by the Netherlands Leprosy Relief (NLR) Agency. He holds a bachelor’s degree (BPT) in Physiotherapy, master’s degrees in public health (MPH), Health Economics (MHE) & a Ph.D. in Public Health. He has also authored and co-authored in many national and international peer-reviewed journal articles and presented papers at national and international conferences. He loves traveling and is passionate about good governance and social justice. Amina brings to the MNCH2 programme thirty-five years of professional experience in the various levels of implementation of Primary Health Care. She is an experienced Registered Nurse, Midwife, Public Health Nurse and Community Health educational specialist in both clinical and non-clinical practice. Amina was a Teacher at the School of Health Technology in Jahun, Jigawa State a school where Primary Health Care workers are trained, she mentored students in Primary Health Care Activities particularly maternal and child health in communities with new health facilities a challenge that lead to the increase in demand. As a facilitator and Polio Eradication Officer, she worked with both national and international consultants (WHO/UNICEF) for the accelerated polio eradication activities in Northern Nigeria. She adapted the adult learning methodology for Middle Level PHC managers to improve the performance of students and has experience in MNCH training, where she was part of the team that developed training curriculum for primary health care workers which included the care of mothers, neonates, and children; Amina has advanced training skills and instructional design skills and was also on the Board of Examiners organized by the Regulatory training body ( National Community Health Practice Board of Nigeria) for twelve ears. Amina also has experience in integrating gender issues as they relate to MNCH2 issues. Margaret brings to the MNCH2 programme over thirty-four years of experience in nursing and reproductive health training. She is a nurse/midwife, an international and national on RH issues. She had previously worked with the Targeted State High Impact (TSHIP) USAID Project, as a service improvement facilitator, as a Chief Midwife Educator in the Sokoto State Ministry of Health, School of Nursing and Midwifery and also as the Midwife Educator where Magaret went from the Nigerian Foreign Affairs Ministry to the School of Midwifery, Montego-Bay, Jamaica in the West Indies. Magaret also worked with the Sokoto State Ministry of Health as a teacher in the School of Nursing and Midwifery and also as a FP Coordinator in the Sokoto State Ministry of Health, Primary Health Care Unit. Her services in the Health Service Management Board Sokoto, Maternal and Child Health Clinic Argungun and Ahmadu Bello University, Zaria, Institute of Health provided Margaret with skills in health training, Margaret was a Nurse/Midwife. Magaret has teaching, training and facilitation skills on FP and RH issues. Margaret is the regional trainer on the MNCH2 programme. Martin is a Management Accountant with 20 years’ experience in managing finances of key international donor-funded projects in Africa. Prior to joining MNCH2 in January 2018, he worked with various INGOs in senior support service roles including audits, finance, grants management and administration. With a bias for child-focused projects, Martin has previously supported both emergency and development interventions in Ghana, Sierra Leone, Liberia, Zimbabwe, South Africa, Angola, Tanzania, Mozambique, Swaziland, South Sudan and Lesotho. Rifkatu brings to the MNCH2 programme her experience as a human resources management generalist. She is a result oriented professional with cognate experience in Human Resource Management with competence in Employee Relations; Change Management; Policy Design and Administration; Compensation/ Benefits Administration; International NGO HR; Operations Management; Performance & Reward Management. 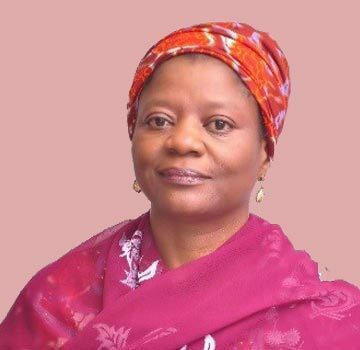 She started out as the Human Resource Assistant for the MNCH2 programme where she organized staff recruitment, managed employee relations, disciplinary cases and exit interviews. She became the Human Resource Manager in June 2016 and works closely with the Senior Operations Manager in the preparation of staffing requests, development of appropriate adverts for approved posts, management of the shortlisting/selection process as well other aspects of the recruitment process in line with programme and Palladium guidelines. Rifkatu also manages all MNCH2 documentation for staff and consultants and provides advice on Nigerian regulations and policy issues on matters such as employment and immigration, ensuring compliance. Prior to joining the MNCH2 team she was an Accounts Executive for Transcom Worldwide UK Ltd, Leeds, United Kingdom She has also worked with Intercontinental Bank Plc (now Access Bank Plc) in various roles including as a Regional Human Resources Manager, Funds Transfer Officer, Customer Service Officer and Teller. Rifkatu is also the secretary of the Social Welfare committee in MNCH2 headquarters. Rifkatu Mshelia is the Human Resource Manager on the MNCH2 programme. 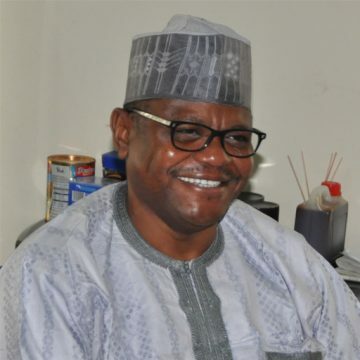 Garba Nuhu Ahmed (rtd) mni, brings to MNCH2 over thirty years of security experience. He graduated from the Nigerian Defence Academy in December, 1980 and has held many positions both nationally and internationally. He was also an instructor where he impacted various skills. Garba Ahmed is the Security Manager on the MNCH2 programme. Kennedy joined MNCH2 as Senior Operations Manager in October 2017, he has over 15 years’ experience in humanitarian and development interventions. He began his career as a HIV/AIDS intervention volunteer in the year 2000. Since then, he has combined experience in both technical and operations programming for HIV/AIDS, Conflict Resolution and Peace Building, Governance, Child Protection, Humanitarian Response, Nutrition, Reproductive Health and Maternal/Newborn interventions. He has at different times held positions such as Project Officer, State Team Leader, Training & Capacity Building Manager, Field Manager, Program Operations Manager and Area Operations Manager. 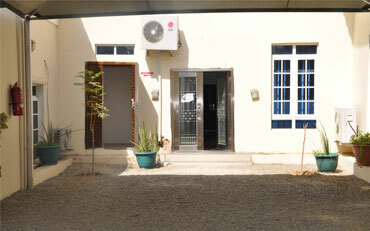 Kennedy is well versed in managing safety and security, logistics, administrative and financial operations of projects. He has worked and supported different signature and flagship projects of Institutional and Corporate donors across different states in Nigeria.